Please join us for at the Oakland A's vs the Yankees which features a pregame festival and an on-field parade. This event is open to Boy Scouts and Girl Scouts of all ages, as well as their families and friends. 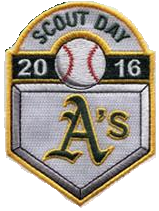 All uniformed Scouts and leaders will receive a commemorative Scout Day patch. See this webpage for more details. We have reserved 100 lower level seats. These will go first come first serve to those that pay sign up and pay. 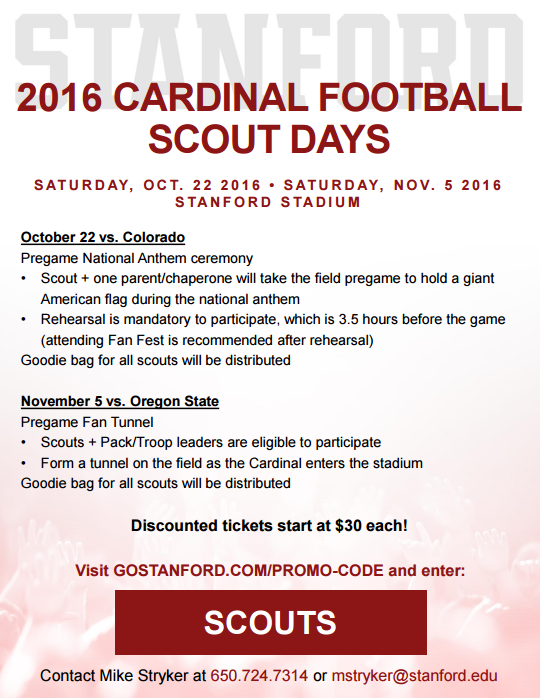 Tickets are $20 per scout (subsidized by the pack) and $30 per additional family member. Please sign up and submit your payment via check to our drop box in the office. Since there are limited seats, we are asking everyone to not sign up unless you are positive you are going to go. Once you sign up, you are committed to purchasing the tickets, There will be no refunds. If you cannot make it, it is your responsibility to find someone to take your tickets. More information to come as the date nears! If you are purchasing for tickets for more than one scout, please make note so we can make sure you receive the discounted cost for more than one ticket. 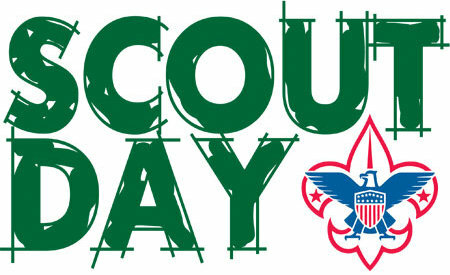 Scout Days are not Pack 1776 events but rather community events open to Scout groups. Join the Golden State Warriors in celebrating Scout Night on Friday, January 23th at 7:30pm at the Oracle Arena as they take on the Sacramento Kings! All scouts will receive a commemorative Warriors Scout Patch and will be invited to shoot a postgame free throw on the Warriors Court! Groups of 10+ are eligible for additional savings. Scout Days/Nights are not Pack 1776 events but rather community events open to Scout groups. Visit gostanford.com/promo-code and enter code "SCOUTS"
If the event dates in Oakland on the previous post do not work for you, Harlem Globetrotters and Disney On Ice Scout discounts are also available at SAP Center on various other days, click on the links below for order forms and more info. 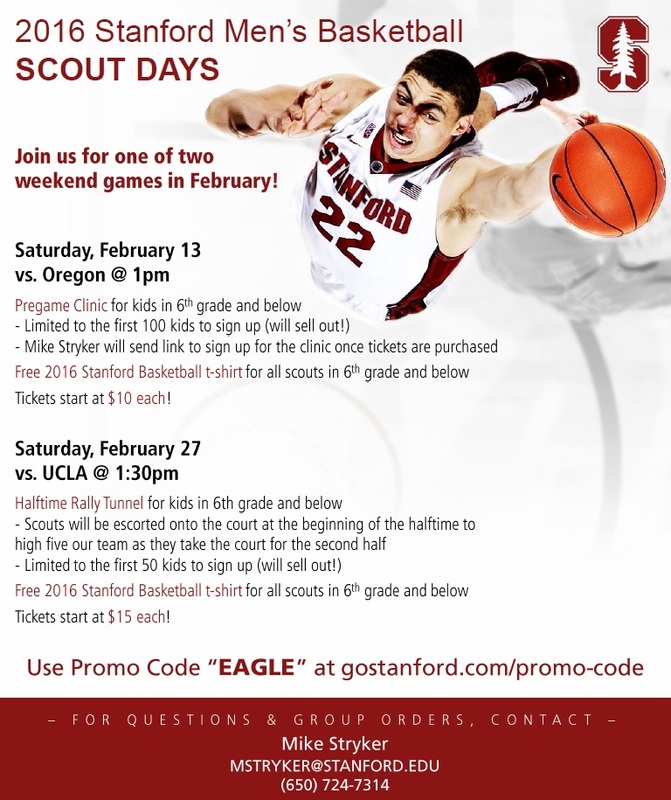 Also, save the dates for upcoming scout days! The world famous Harlem Globetrotters have been thrilling families and millions of fans for 88 years, all the while innovating the game in exciting new ways. Last year, the Globetrotters did something unparalleled in the history of sports and entertainment, letting fans vote on new rules to be used in actual games. It was so much fun, we are doing it again, and there are cool new rules to choose from on our 2014 "Fans Rule" World Tour. Vote for your favorite, craziest rule now. Click here for details and ordering form. Monster Energy AMA Supercross, an FIM World Championship, is the world's premier indoor motocross circuit, comprised of 17 races of heart-stopping action in some of the largest venues in North America. Every week, the best riders from across the globe, like former champions Ryan Villopoto, James Stewart, Chad Reed and Ryan Dungey seek to outrace each other on the sport’s most challenging courses. Featuring tight corners, fast straightaways, challenging rhythm sections, and vertigo-inducing jumps, these tracks pack excitement into every inch of dirt. Click here for details and ordering form. 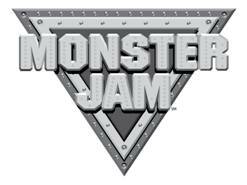 Monster Jam is coming back to Oakland with the BIGGEST line up and most monster trucks than ever before!! Shows consist of three main fan-favorite elements – the pit party, side-by-side racing and freestyle competition. Fan-favorite truck icons will be heading to the Bay, electrifying crowds with the breathtaking stunts and awesome power of the world’s most popular monster trucks. Scout orders (of any size) qualify for discounted pit party passes!!! Weather permitting, the Pit Party will take place from 3:00 pm to 5:45 pm. This fabulous event provides fans with the opportunity to meet select riders, take photographs, obtain autographs, and see Monster Trucks up close and personal! Scouts are invited to bring their Pinewood Derby cars and informally race against one another inside the Pit Party (located outside the Coliseum in Parking Lot B). This activity is OPTIONAL and JUST FOR FUN! Races will NOT be officially timed nor will there be any judging or organized competition related to racing, design, etc. To participate, indicate the number of cars your group plans on bringing to the event using the ticket order form. Jam to a Scottish jig as a group of royal contenders from the latest Disney•Pixar film, Brave, competes to win the heart of headstrong, sharp-shooting Merida, making her ice debut! Experience a show-stopping performance as Sebastian breaks out of his shell for one night only to make waves with Ariel. A chorus of harmless hooligans from Tangled unleashes musical mayhem when they get a visit from the sassy and spirited Rapunzel and her charming ally Flynn. And, get your feet moving as the Beast and his castle’s enchanted entourage take center stage in a spectacular show for Belle. It will be a rockin’ remix of royalty when Disney On Ice brings this superstar line-up to the Bay Area! Click here for details and ordering form. Calling all Scouts! Join the Golden State Warriors in celebrating Scout Night on Friday, January 10th at 7:30pm at the Oracle Arena as they take on the Boston Celtics! All scouts will receive a commemorative Warriors Scout Patch and are invited to shoot a postgame free throw on the Warriors Court! Groups of 15+ are eligible for additional savings. Scouts and Scout leaders, our second Scout Night of the season with the Sharks is almost here! Your San Jose Sharks including Joe Thornton, Patrick Marleau and Dan Boyle will take on the Calgary Flames! So come out and support your San Jose Sharks by taking advantage of this special offer! - Tickets Priced at $80 (lower reserve), $58, $48 & $41 (upper reserve)! - A portion of the proceeds will benefit the Girl Scouts of Northern California! - No Ticketmaster fee - Save up to $25 or more per ticket! - Groups of 25+ get a video board announcement. 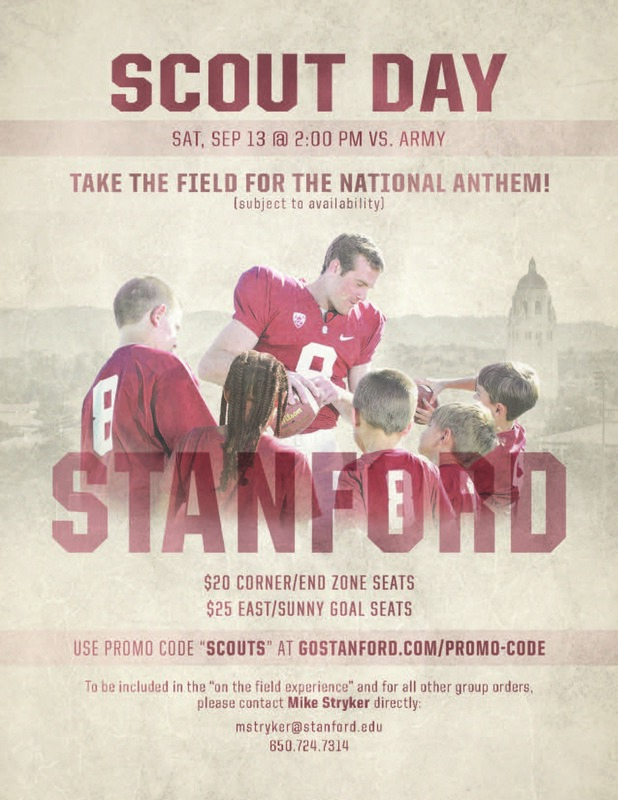 - All seats include an exclusive Scout Night Patch ! Scouts and Scout Leaders, our first Scout Night of the season with the Sharks is almost here! Your San Jose Sharks including Joe Thornton, Patrick Marleau and Dan Boyle will take on the Phoenix Coyotes! So come out and support your San Jose Sharks by taking advantage of this special offer! - Tickets priced at $50 (lower reserve) & $25 (upper reserve)!